It was a few years back that we started to notice brides (and grooms) were exploring beyond round tables with a mix of tall and short centerpieces, and while there will always be a place for the more traditional approach, the advent of “feasting tables” has caused couples to ditch the linen, embrace the rustic, and experiment with a variety of different centerpieces. 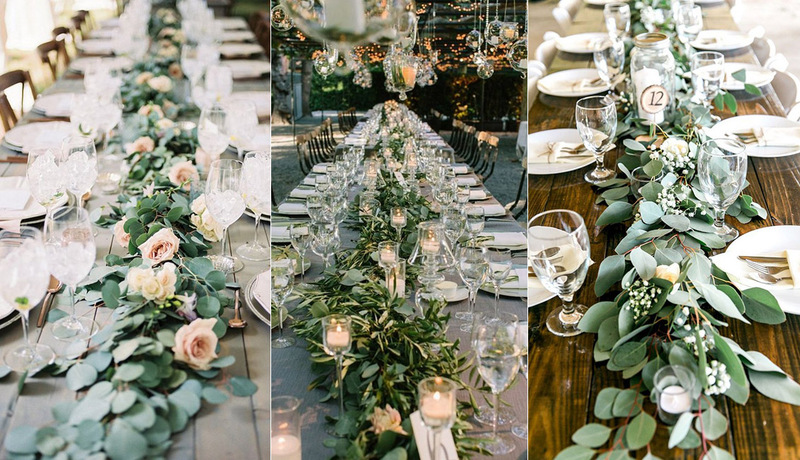 Now a few years into the trend, there has been an evolution of the centerpiece to include a dramatic and eye catching design: the table garland. Runners are the perfect decor solution for feasting tables because they make a statement while taking up a decent amount of real estate (budget friendly!). Take your runner from pretty to unforgettable by adding a lush garland. The greens will give the table some wow while still allowing guests to talk with ease.